Fortunately, you don't need a major remodel. Consider these ideas for simple changes with big impact. With a little planning and effort, you'll add to your Keller home's value and functionality, while getting the “Pinterest-worthy” bathroom you know will make you smile every day. Transitional style is today’s most popular bathroom style, according to the National Kitchen and Bath Association, and with good reason: almost limitless design potential. Modern sets make it easy to create a ‘put-together’ look in bathrooms of all sizes, with a full suite of fixtures and faucets that are easy to install for a stunning refresh. WaterSense-certified faucets save almost half the water of regular faucets! There is nothing better than a beautiful new bathroom that is as easy on the eyes as it is on our water resources (not to mention the little extra cash you get to keep in your wallet when a lower water bill arrives!). A restorative shower experience is at the top of the list for a new bathroom must-have. 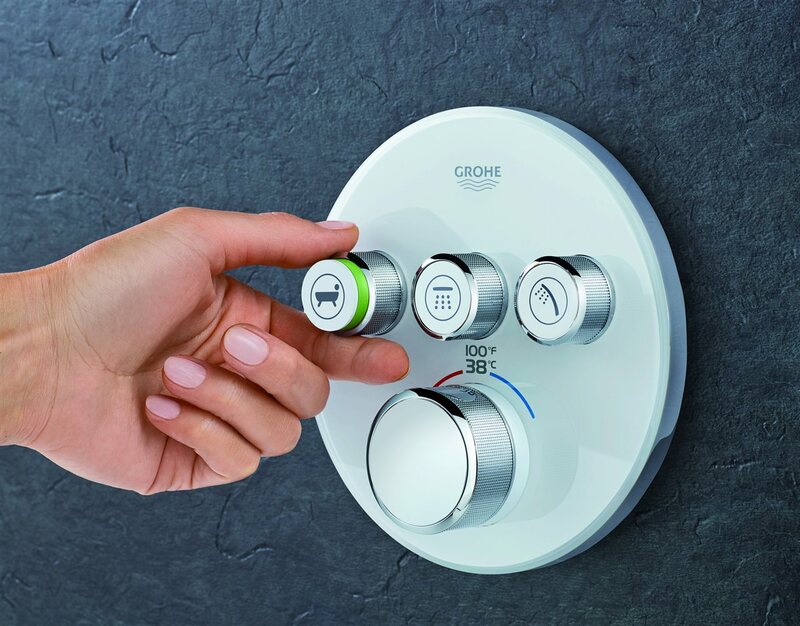 Intuitive products make it easy to control the precise amount of water with a simple push of a button. A turn of the dial allows for accurate control of water volume and temperature. This makes it easy to change modes quickly, from when you want less water while soaping up to when you want more water to rinse off. With these project tips that involve simple product installations, updating the look and feel of your Keller home's bathroom won’t feel like an overwhelming undertaking.